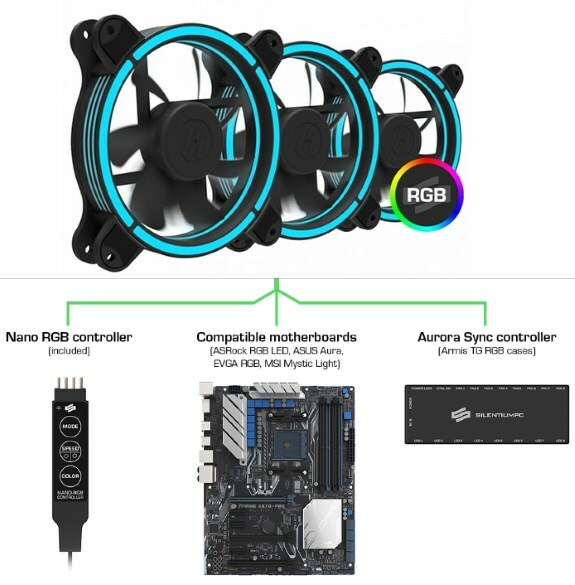 SilentiumPC delivers the Sigma Pro Corona RGB 120 kit, this product features three 120mm RGB LED ring fans as well as a small RGB controller than can be used if you don't have a motherboard with RGB LED headers. The kit will ship next week for 25.90EUR (incl. VAT).